James Smith Memorial Building, Tyler Texas. James Smith was a captain in the Texas Revolution, and his home was a refuge to neighbors during the Indian troubles of 1837-1838. From 1840 – 1844, Smith was a brigadier general in command of the Third Brigade on the northwest frontier with Mexico. Smith County was named after him, and a Centennial Community Center was built in his honor in Tyler. 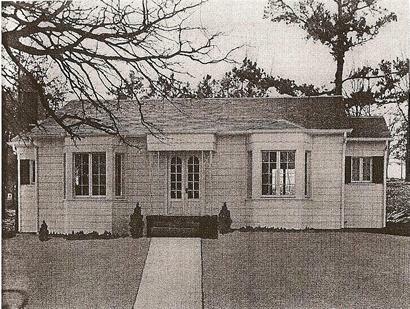 Located in Fair Park, the small building of colonial design, used last for children's birthday parties, was allowed to deteriorate and was torn down in the 1970s because of rot and termites. The location is now in the famed Tyler Rose Gardens, I wonder if they named the area in his honor?